Welcome Your contribution is vital, thank you. Welcome to the latest edition of Your Gift – the magazine that shares the stories that you, our supporters, have enabled us to tell. In this edition you will see how your donations are tackling one of the world’s biggest killers, dementia; how you are bringing academically gifted students to Loughborough, who due to personal circumstances may not have been able to pursue their dreams here without your help; and how you are enabling us to create world-leading facilities. Thank you once again for everything you do to support the University. Our thanks, for your gift Our Donor Wall recognises the generosity of Loughborough University’s alumni, friends, parents, students and staff members who have supported the University during the latest financial year (1 August 2017 to 31 July 2018). The 2017/18 Donor Wall can be found online at www.lboro.ac.uk/giving/thankyou If you are unable to access the Donor Wall online, please contact the Philanthropy Team on 01509 223419 or by emailing giving@lboro.ac.uk and we will be happy to send you a printed version. Cover story Laura is a grateful recipient of a Development Trust Scholarship. Receiving this support has enabled her to pursue some amazing opportunities and gain invaluable experience that might not have been financially attainable for her. Laura describes the support from donors as ‘the best gifts anyone can ever give’. To read more about the positive impact the scheme is having, turn to page 04. Supporting students into higher education Mission accepted: Get more women into engineering Engineering is traditionally a male-dominated industry. Women working in STEM (Science, Technology, Engineering and Maths) are generally underrepresented, but in engineering this is particularly apparent. of young women to consider engineering as a future career. The Penrose Engineering Residential brought 35 female students to our Loughborough campus to experience engineering and campus life. Robot programming and rocket building were part of the two-day programme as well as an introduction to the engineering courses at Loughborough. The programme also highlighted the range of engineering disciplines and various entry routes that are available to them. 80% of the students said they had been inspired to study engineering at university. Our thanks go to Captain Desmond Penrose for his support of this initiative. and Waltham Forest who are struggling to find graduate level employment. The initiative includes a six-week programme of employability workshops and the opportunity to apply for a 100% tuition fee scholarship to study a master’s at Loughborough University London. The scheme has supported many local people to identify their strengths, reflect on their experiences and clarify the steps needed to reach their personal career goals. This initiative is generously supported by the Peter Cruddas Foundation. Making Loughborough a reality “From the age of 14 I have been under the care of a consultant for a debilitating condition that affects me daily. “My family were also involved in the horrific Manchester Arena bombing in 2017, which left my mum severely injured and in need of care, and myself suffering with PTSD and severe anxiety. The repercussions of this event have affected my ability to socialise and complete day to day tasks such as using public transport. I also struggle with memory and recall, which makes studying significantly harder.” This is just one example of the difficult circumstances some students can unfortunately find themselves in. Some are also affected by family estrangement, chronic illness, and acting as carers for loved ones. Difficult circumstances such as these can act as a barrier to the individual, stopping them from living life the way they want to, including attending university. Scholarship Facts: We received 10 applications in 2018, for every scholarship awarded. 20% came from applicants with a household income of less than £10,000. At £3,000 per year, Development Trust Scholarships help the brightest students from underrepresented backgrounds to meet 90% of this shortfall. One year on... the impact of a gift in a Will Last year the University launched a new undergraduate Architecture course, funded with a generous gift from Reginald WJ Hewson in his Will. One year on we catch up with Karla, a first year Architecture student who has benefitted from the course, facilities and teaching that were created in Reginald’s memory. “The studio and workshop spaces are amazing. There is a regular ‘buzz’ in the studio environment; you can always find a classmate or tutor who can help with your coursework. There is constantly something going on, whether it is a guest lecture from a practicing architect, a site visit or social event – the course provides opportunities for everyone and their interests. The course here at Loughborough has been a great experience for me – I’ve already learned so much just in my first year.” Thank you to all those who have let us know of your intention to leave a charitable donation to the University in your Will. This very personal decision is a mark that you believe in our future – a kindness that we are forever grateful for. Make your pledge to support our future If you would like us to send you further information about leaving a gift in your Will, to consider in your own time, please contact us using the details below. Tel: +44 (0)1509 228497 Email: legacy@lboro.ac.uk We will send you a brochure, guidance on suggested wording, a codicil form and a declaration of intent form. Alternatively, you can access all the information at www.lboro.ac.uk/legacy. Elite Athlete Centre opens on campus Loughborough has long been associated with big names in sport, with many choosing it as their training base, thanks to the incredible facilities we are able to offer. (up to the equivalent of Everest Base Camp) while living low. Furthermore, eight rooms are designed specifically for paraathletes and feature state-ofthe-art accessible facilities. In 2018 the University took its training facilities to the next level, by creating a unique venue that provides everything an athlete needs to be the best they can be. The venue also houses a nutrition lounge and cafe, as well as Quiet Zones and Passive Zones. The Passive Zone provides athletes with areas to relax or take part in activities such as yoga and pilates, whilst the Active Zone includes a climbing and bouldering wall. The venue is the first of its kind in Europe and will play a fundamental role in the advancement of top-level sport and benefit the elite athletes of today and tomorrow. Creation of the Elite Athlete Centre and Hotel has been made possible thanks to generous donations from you, our Loughborough supporters. the new format of 3x3 wheelchair basketball. Loughborough provided clear evidence about which game format should be employed by IWBF to complement its World Championship programme; an outcome which will allow the IWBF to provide an option for the inclusion of wheelchair basketball at major global sports events. Changing lives: Helping blind children learn how to run Can you imagine if you’d never experienced the feeling of running around in the playground with your friends as a child? Last year Dr Mike Fray, a Human Factors Design expert within Loughborough Design School, and inclusive sports coach Mark Beeby developed Running Line – an assistive technology that enables visually impaired children to experience the adrenaline and excitement of running without the aid of a guide. The duo and their team then ran a participation project that reached out to visually impaired children across the region, to raise awareness of Running Line, educate people on how to use it and promote the benefits of regular exercise. Thank you to the Peter Harrison Foundation who make projects and collaborations like this possible because of their continual support of the Centre. This project was made possible by funding from Leicestershire County Council’s SHIRE Community Fund, The Ulverscroft Foundation and the Boost Charitable Trust. in Watford, incorporates several innovative concepts and technologies to support individuals living with dementia. High tech innovations Talking cushion Includes inbuilt sensors to remind people to get up, walk around and get a drink. Features resistance bands with inbuilt sensors to guide strength, speed and direction of movement. Intelligent climate control and ventilation Allows the user to set an ideal room temperature, air flow and climate and includes an intelligent thermostat which monitors and adjusts itself in case of user-related errors, such as repeatedly turning up the temperature. living patterns and routines of any inhabitants. Thank you to all those that made donations to Facing Dementia as a Family, the Loughborough Family campaign in 2017. A place to remember Every year, we receive news that former, and sometimes current, students and staff of the University have sadly passed away. to create and maintain the Garden of Remembrance â&#x20AC;&#x201C; an enclosed area on campus that offers a peaceful and reflective atmosphere to remember those they have lost. During the launch of our Dementia fundraising campaign last year, we were honoured that We understand the importance so many of our donors chose of having a place where friends to donate in memory of a loved and colleagues can go to mourn one that had been affected by their loss and remember the the disease. These names were person who has died. arranged on a special memorial tree, which was placed in the With support from students, staff, alumni and friends, Garden of Remembrance during the University has been able Donor Day 2018.
to identify new biomarkers associated with a multitude of diseases such as cancer and diabetes, leading to improved non-invasive early diagnostic technology and personalised healthcare interventions for these life-threatening diseases. As well as a research boost for the nationâ&#x20AC;&#x2122;s healthcare system, this will provide a step-change in analytical capacity within the UKâ&#x20AC;&#x2122;s science infrastructure, meaning the results could have significant implications for healthcare improvements nationally and worldwide. This work has been made possible thanks to a generous grant from the Wolfson Foundation. Union and provides a respite break to young carers, allowing them to escape the pressures of their everyday life and just become children again. This year 15 children, all aged between 7 and 11, enjoyed a trip to the Peak District that was filled with fun activities such as zip-lining, rock climbing, orienteering, archery, den building and a high ropes course – many of which the children would not have experienced without going on the trip. With the help of student volunteers, the children are supported to recognise their own potential and develop in ways that can help them cope better with their everyday difficulties. At the end of the week, all the children were given an award to reinforce their selfconfidence by highlighting a key achievement for them from the week. Loughborough's Young Carers Research Group led by Professor Jo Aldridge has been informing government and charities about the needs of young carers since 1993. Professor Aldridge’s research is behind the Care Act 2014 and the Childrens and Families Act 2014. A screening tool also developed by Professor Aldridge is now used by organisations worldwide to identify and work more effectively with young carers. Turning ideas into innovation Loughborough students and graduates dream big. For some of them, the dream is becoming the next brand that people are talking about. As a university, we help students to develop a highly desirable entrepreneurial mindset and support them in all aspects of their business journey. Late last year we opened a brand-new focal point for students looking to develop their business ideas. The innovation incubator and training space, known as the Start-Up Lab, will give students the opportunity to grow their ideas into what could be the next big global brand. This exciting project has been made possible thanks to Santander Universities – the division that oversees the bank’s commitment to higher education. Love local. Love Loughborough. Local businesses sit at the heart of their communities and in challenging economic times, it’s more important than ever for the whole community to show their support. Working alongside Loughborough Students’ Union (LSU), during 2018 the University delivered training and consultancy to local businesses looking to develop their social media skills. The popular Switch On Stand Out Social Media Programme, which is in its fifth year, helped 44 local businesses with their social media activity during 2018. This work has been made possible with thanks to support from both Charnwood Borough Council and Love Loughborough. Why your gift matters Giving isn’t about just making a donation, it’s about making a difference. Whatever the size of the donation, the difference it can make is huge. 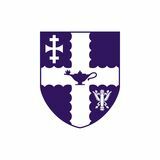 Your donations have their greatest impact on the University when combined with gifts from other members of the Loughborough family who also contribute on a regular basis. 25 ENABLING 25 UNDERGRADUATES FROM LOWER PARTICIPATION BACKGROUNDS TO GAIN VALUABLE INDUSTRY EXPERIENCE AS PART OF A FUNDED MICRO-INTERNSHIP SCHEME. 18 SUPPORTING 18 ELITE STUDENT ATHLETES, SPORTSMEN AND SPORTSWOMEN TO EXCEL IN THEIR CHOSEN DISCIPLINE. AWARDING FOUR NEW DEVELOPMENT TRUST SCHOLARSHIPS TO DESERVING STUDENTS FOR THE DURATION OF THEIR DEGREE. Why not become a regular donor today? 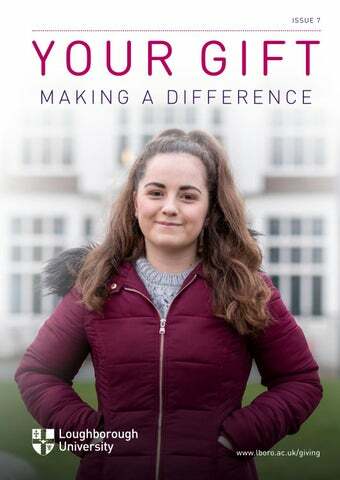 Becoming a regular donor allows you to have a significant impact on the future of Loughborough University, in a way that is more financially manageable. We greatly appreciate your generosity and if you have supported us with a one-off donation this year, we would love to welcome you as a regular Loughborough supporter. For more information please visit www.lboro.ac.uk/giving. If you provide an email or phone number we will use these to let you know the latest news from Loughborough including upcoming events, the impact of your donation and further ways you can make a difference. Instructions to bank or building society: Please pay Loughborough University Direct Debits from the account detailed in this instruction subject to the safeguards assured by the Direct Debit Guarantee. I understand that this instruction may remain with Loughborough University and if so, details will be passed electronically to my bank or building society. To qualify for Gift Aid, what you pay in income tax must at least equal the amount of tax that all the charity or Community Amateur Sports Clubs (CASCs) you donate to will reclaim on your gifts for that tax year. Other taxes such as VAT and Council Tax do not qualify. A full home address is required for Gift Aid purposes. THANK YOU Your support is much appreciated Please return this form to: Freepost RTUU-AAGE-KAXB Philanthropy, Loughborough University, Leicestershire, LE11 3TU Loughborough University is an Exempt Charity. Why I give to Loughborough Since graduating from Loughborough 30 years ago, Guy Broadbent has thrived in the life science technologies and speciality materials sector. He’s worked for several private and public organisations, holding roles such as President and Chief Executive Officer. go to university and I knew from the first moment I stepped on campus during a visit that it was the right place for me. I discovered so much about myself and developed a level of confidence that has enabled me to take on challenges and opportunities I could not have imagined. He believes his time at Loughborough provided him with a great foundation that has led to some amazing experiences – and for that he’s extremely grateful. He now gives back to Loughborough so that others can do the same. “My own kids attend university here in the US, so I often tell them about the great times at Loughborough and the pride that I still have in things like the amazing sports teams and athletes as well as the unique atmosphere that still pervades the Loughborough campus. “I just want scholars to have the best chance of achieving whatever their dream is. I’ve had so much help and support throughout my life that it’s great to be able to pay it back in this way. Welcome to the latest edition of Your Gift – the magazine that shares the stories that you, our supporters, have enabled us to tell.